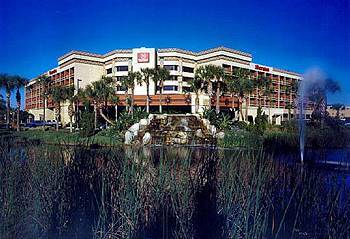 Spring Hill is located approximately 35 miles northwest of Tampa in Hernando County, just four miles from the beautiful Gulf of Mexico, and in the heart of Florida's Nature Coast. This is a region of unspoilt coastline, rolling farmlands, natural springs and crystal clear rivers and streams. The Chassahowitzka National Wildlife Refuge makes up part of the northwest boundary, and the Withlacoochee State Forest and Withlacoochee River frames the east. A perfect opportunity to experience real Florida. As a villa rental location, a major appeal is it's close proximity to Orlando. 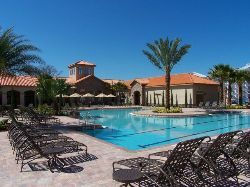 Guests renting a villa in this area are often heading to the coast for the second week of their holiday after spending time at the Orlando theme parks, a drive of just over an hour from Orlando and you will be checking into your rental property. As a tourist attraction, the area enjoys a healthy mixture of entertainment, nature and cultural history. 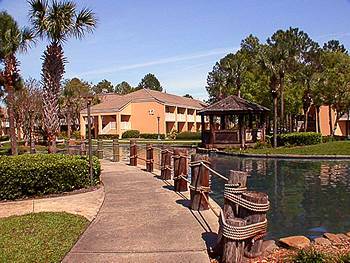 Spring Hill is home to Buccaneer Bay, Florida’s only waterpark that is in a completely natural setting. It features waterslides, a tube ride, bumper boats, children’s play area and a beach. Another interesting attraction is the Weeki Wachee Spring “City of Mermaids” show. It has daily underwater mermaid shows, exotic bird shows, wilderness river cruises and a petting zoo. The lakes and rivers in the region have some of the finest bass fishing in the state, and Hernando Beach is known for its tarpon fishing. Other outdoor recreation in the area includes hiking, birding, canoeing, golf and biking on paved or wilderness trails. The beaches in the area tend to be small and intimate, very quiet and family friendly. One of the most popular is Pine Island beach and nature reserve which is only 4 miles away from the majority of our vacation homes. A new addition to our Gulf Coast rental portfolio for 2006, a selection of spacious 3 and 4 Bedroom vacation homes located in very relaxed residential neighbourhoods in and around the Spring Hill area. 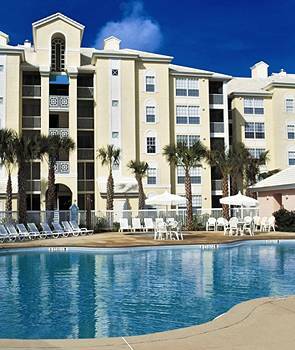 Guests can expect clean, comfortable accommodation based around an open plan design with high ceilings, bright Floridian style decor and modern appliances. The main living space is generally one large open area combining both a lounge with sofas and TV, a dining area and a generous sized, fully equipped kitchen. Leading off from the living area will be the master bedroom with oversized ensuite bathroom and two further bedrooms which share a family bathroom. As it's the long sunny days that attract the majority of guests to Florida's Gulf Coast, the main focal point of these wonderful homes is always the private swimming pool. There are sun loungers and patio furniture and all pools are screened with a high mesh cage which allows sunlight through but helps to keep leafs and bugs out of the water. The majority of our rental homes in the Spring Hill area are in the Gold rated category, these are large, modern executive properties on good sized lots often over looking a small lake or conservation area. The homes are impressive detached residences in very friendly, relaxed neighbourhoods, this range of 3, 4 and 5 Bedroom homes are very open and spacious with a variety of imaginative floor plans and all with upgraded furnishings and immaculately manicured lawns and gardens. Expect to find a luxurious level of accommodation based around an open plan design with high ceilings, bright, contemporary style decor and modern appliances. A great level of attention and expense has been given to the furnishings, furniture, appliances, pictures and ornaments creating a very welcoming, relaxed environment. The main living space is generally one large open area combining both a lounge with sofas, TV and VCR or DVD Player, a dining area and a generous sized, fully equipped kitchen. There is also a second family/sitting area which is a very popular feature with larger groups and families. Leading off from the main living area will be the master bedroom with TV and oversized ensuite bathroom and two, three or four further bedrooms which share a family bathroom (5 Bedroom homes all have three bathrooms).